Every time going home and looking at messy and confused chest, everyone would feel discouraged and tired. This mod will help you organize the space tidy and clean. 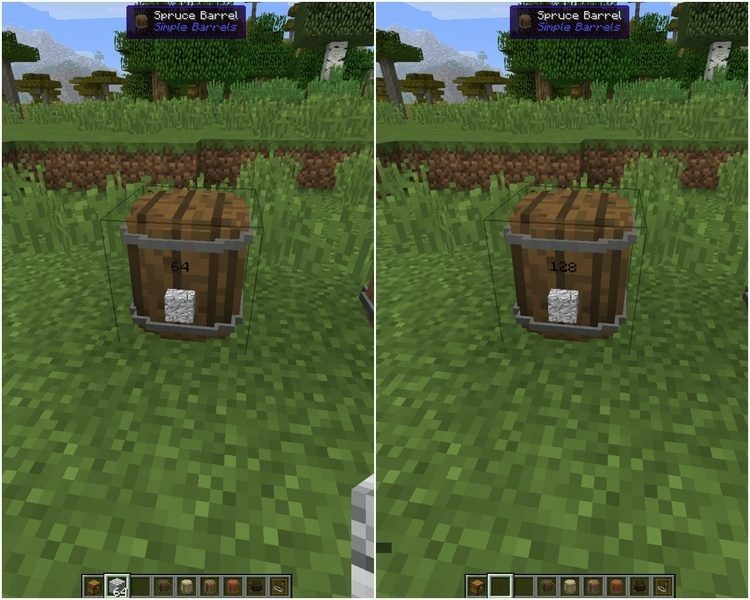 This time we will not review a mod that sorts random boxes, we will introduce an extremely unique and brilliant mod, Simple Barrel Mod 1.12.2/1.11.2. Those boxes looked like wine barrels is that the focused point of this mod, they are called barrels. 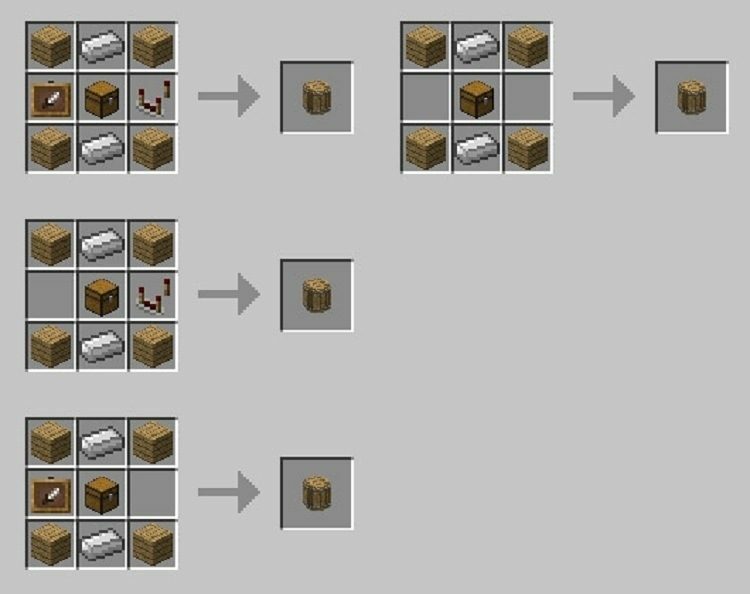 You can store a huge number of items with barrels are crafted out with this mod, the exact number is: 64 stacks items. More precisely, it is 64 x 64 = 4096 items IN A BARREL. To store items with barrels is extremely simple, you need to store items in your hand, and then right-click on the ark. If you want to get the items, you use the left mouse button to click on the box (it is called hitting it fast), then immediately one stack items will fall off, and the number displayed on the barrel loses 1 stack. To create other types of barrel with different colors, you need to replace the different color in wood only, so it will be good (there are 6 colors of wood for you to choose). Download Forge Installer and Simple Barrel Mod. Put the mod you want to install into mods folder and then run Minecraft.